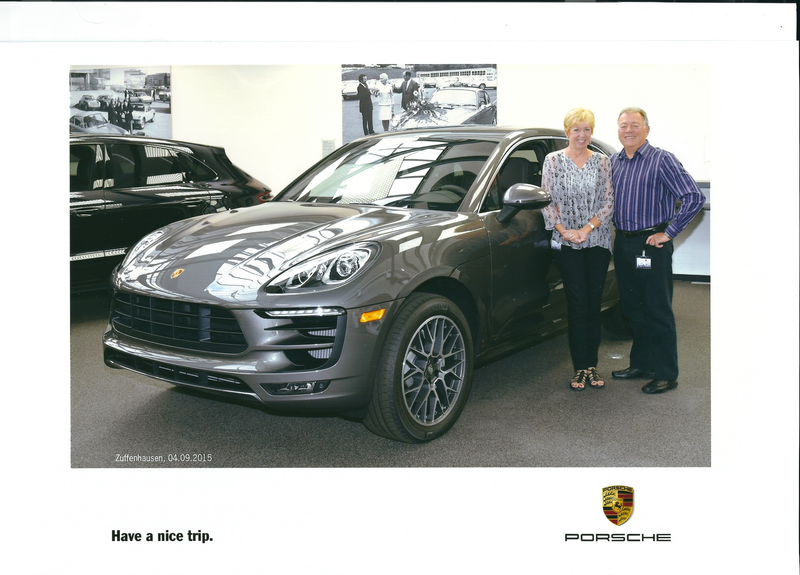 We began this adventure by selecting and purchasing a Porsche Macan S for our road trip of a life time, and developing an inspired travel itinerary for the entire month of September. 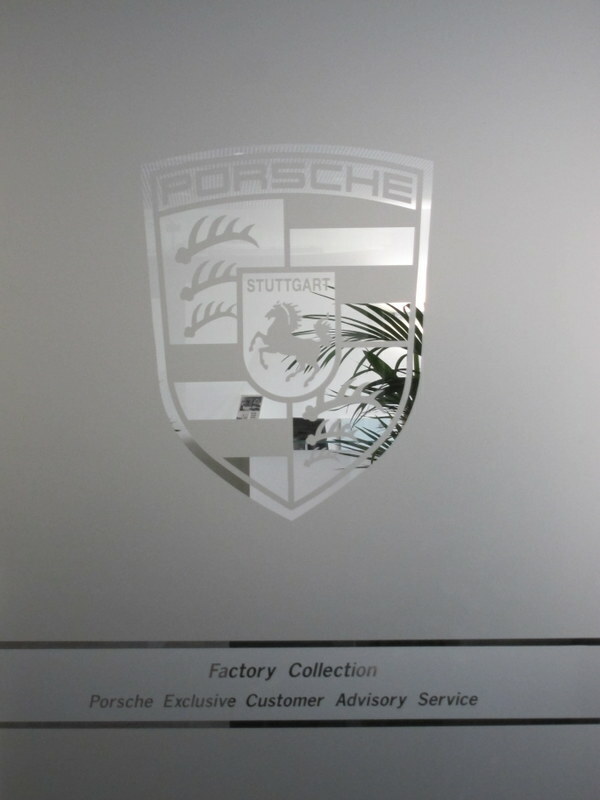 This segment of the series is focused on actually picking up the car at the Porsche factory in Zuffenhausen, Germany. This is where the plan meets reality. We had a very early breakfast and hailed a taxi around 8:00 AM to get us to our 8:30 AM appointment. They suggested to be there around 8:15 AM so we had a few minutes to spare. Our taxi took the long way around and even found road construction delays… we arrived just after 8:30 AM. Upon arrival we were to complete some paperwork / insurance documents. Next step was to go on a guided tour of the factory (1 ½ hours) where guests witness what Porsche calls the most emotional moment, the so called “marriage” of the drive-train and chassis with the body… we anticipated it to be a very impressive presentation. Following that, a culinary three course feast in the VIP Restaurant. The intent was to take a moment to… “relax – after all, you are soon to be handed the keys to your new Porsche”. Then the Grand Finale, enter the “Delivery Hall” and meet your new car for the first time which will be documented by a professional photographer. You will also receive a special gift from Porsche. Upon arrival we completed some paperwork / insurance documents. The Un-Grand Finale, enter the “Delivery Hall” and meet your new car for the first time. It all happened a bit sooner than anticipated! We met the car around 9:30 AM and began our orientation session with a product expert. We were very fortunate to have been assigned Tilmann Hancke. He has been with Porsche for over twenty six years and is even featured in the “Factory Collection at Zuffenhausen” publication. At 10:00 AM we were told that the factory tour is about to begin and that we would have to catch the shuttle if we planned on attending. Here we are facing a computer encased in a metal car body with a sea of buttons and switches with less than a half an hour of education. We opted to stay with Tilmann and Max for about two hours as he patiently continued the education process. Tightly clutching our six pounds of owner’s manuals, we drove Max for the first time, for a brief and unceremonious trip into the customer parking lot next to the delivery hall building… so much for deflating the enthusiasm balloon! BUT… most importantly we have MAX and he is magnificent and we even have an idea how to drive him. 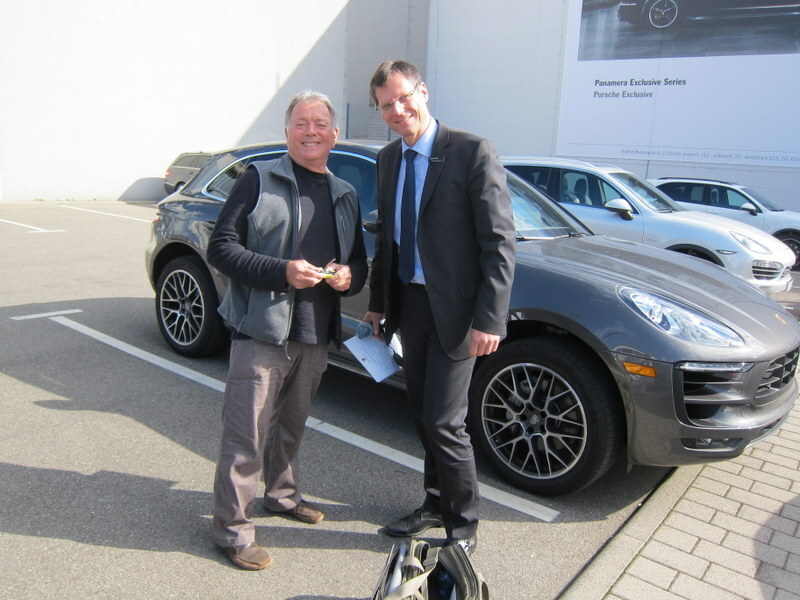 Add the photograph and gift… we are OK. Porsche offered us an afternoon factory tour, albeit in German, but at this point we just wanted to drive our new car and get the road trip underway. We continued on to the VIP Restaurant for the “relaxing” luncheon and since we skipped the factory tour, we were the first people in the place. We watched as other people entered the dining area and assumed that they had been on the tour, and we smiled at each other and said…bet they can’t sync their iPhone via Bluetooth to their new car… HA… we can and did. German law requires license tags to be permanently affixed to the front and rear of any car registered in the country. Being from California we did not need to attach a front tag especially to ruin the aesthetics of the car. Because of this variance we had to sign at least three documents acknowledging the German law, and taking full responsibly for that decision as well as any liability that we may face… such as fines or penalties. So here we are in the delivery hall with two tags, a front bracket with four screws, and four zip ties. A Porsche person took care of the rear tag but we had to attach the front tag. We used the four zip ties that Porsche provided and mounted the front tag in the center of the grill. Oh, you may ask, what about the bracket… we were actually told that in Switzerland they can make you attach the plate right there on the spot at the border crossing. So we received the bracket and four metal screws… just in case… no, seriously. Side note: nothing happened and the Swiss Border Guard only wanted to see the road tax decal on the windshield… which we had in place. After lunch we returned to the conveniently located gift shop at the delivery hall and loaded up on stuff… hats, sunglasses and key chain for the car fob. We were now “officially” ready. 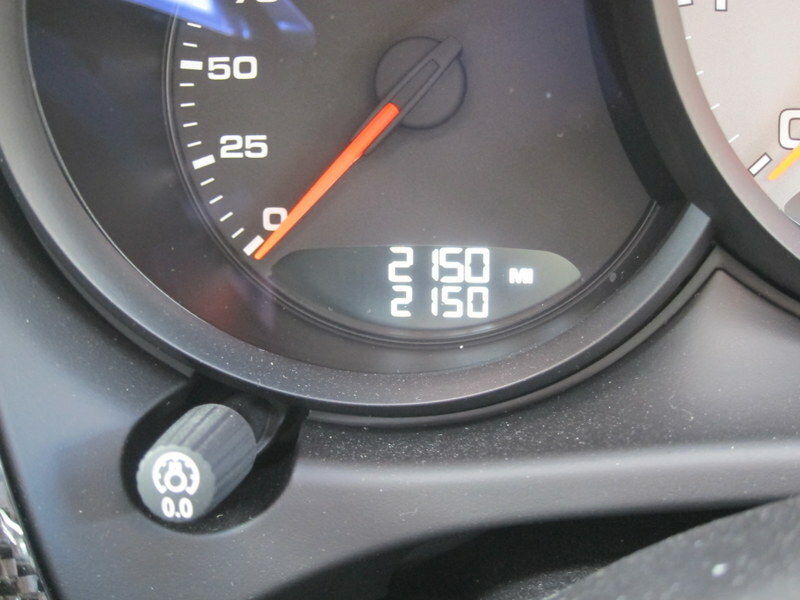 Max had a full tank of gas and an odometer reading of ten miles when we left Zuffenhausen. We returned our car four weeks later with two thousand one hundred and fifty miles on it! 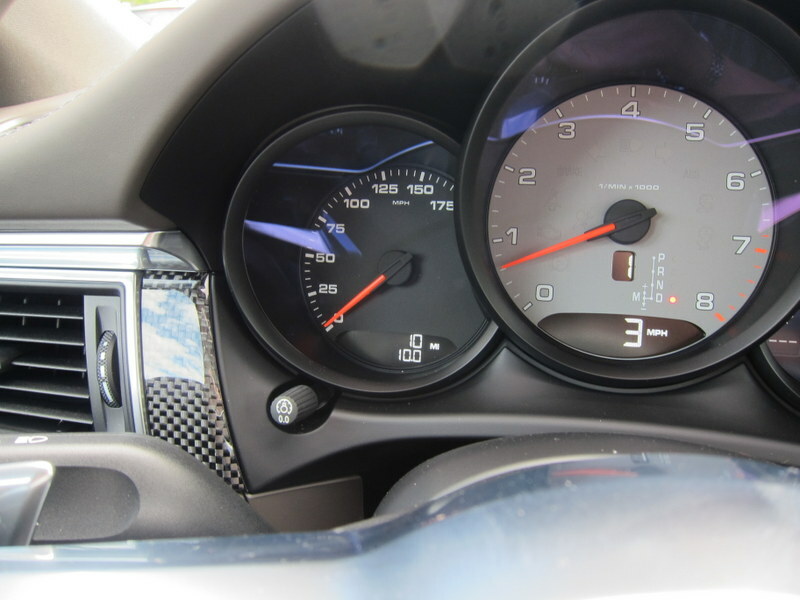 Fun filled, exciting miles…think Autobahn and no sped limits in some areas. When we returned the car, Tilmann actually met and greeted us. He even helped to prepare the car for the shipment home. Coincidence or the Porsche way? Our procurement complete, all paperwork signed off and now we are about to embark on our long-planned road trip. We are driving an amazing piece of engineering that is loaded with some of Porsche’s most advanced technology. This is not a “baby” or “small version” of anything… this beast is a large version of a 911… complete with a twin turbo six cylinder power plant. We are now heading to Salzburg for the first leg of our adventure as we drive through eight destination cities in four countries in pursuit of the Ultimate Road Trip… of a life time! Please follow us for Part Five of the series… Driving through Austria in MAX. This entry was posted in Uncategorized on October 21, 2015 by Bob and Janice Kollar.